I detected subtle indications that Matti had been drinking. There was the way in which he pointed his face at mine but had his eyes focused on a point several yards behind me. There was the way he waved his almost full glass of beer around uncontrollably, tilted forward as if it were a torch, the beer seeming to hover momentarily in mid-air sometimes then somehow land, most of it anyway, back in the glass. There was his tendency to sway and almost fall over, suddenly sticking out a wobbly leg which would brace at the last second. At these moments he would take a steadying bow over the straightened leg and swing his torch round as if looking for burglars. There was his constant semi-coherent gabbling. Yes, I was almost certain. I’d been shopping. It was 6.30 on a Saturday evening. For days I’d been promising myself half an hour in the brand new Old English Pub, with its brand new buttoned red leather and beef-red mahogany-stained woodwork and brass. I’d come out of a standard north European shopping mall with disorientating landings, stairwells, escalators and mezzanines, like an Escher drawing with retail outlets, and rewarded myself here by posing on a high stool, my notebook impressively open and a very small glass of good, very very expensive beer in front of me. Some nice man had started to chat with me about my notebook when Matti (you pronounce both the t’s) lurched along on his own personal piece of stormtossed floor. The nice man melted away into a safe corner. I asked him his name and he told me and explained about the t’s. When he did a demonstration pronunciation he teetered an age over the braced leg during the double-t. I moved my notebook out from under the torchbeam. This distracted him. His head hovered, swaying, over my notes. I’d been writing in Welsh, so I felt a chance to show I too could work in two languages. But though Matti had his face pointed at my notes, his eyes were focused on some point through the floor beneath them. Yes, I was a writer. And what did he do? On my bike sometimes I’d seen the postmen trundling their little mail barrows round the blocks of flats. Matti was a small man, dark-haired, neatly dressed in a pressed shirt, youngish. Definitely not one of the characters I’d just occasionally seen on the streets looking crumpled, clutching plastic bags, going through the bins. He had a long weekend off? A group of women at a nearby table, starting their Saturday evening early, were doing a good job of glancing our way discreetly. Yes, I said. That sounded like a long weekend. I told him I knew someone who used to live there. He looked at me, maybe checking if I was Robert Plant. Even he could see that I wasn’t. I was beginning to feel seasick, but I was also impressed. He’d pointed out something about English I’d never noticed. The nice man in the safe corner, half hidden among brand new glass panels and fake mahogany, watched us curiously. The table of women looked round and made wrong guesses about Matti and me. I’d been considering ringing my bank to see if I could afford another drink but I decided not to. I had to go home and eat, I told Matti. I picked up my shopping, slipped on my coat. I got him to spell his name for me. He got me to write my name on a slip of paper. I handed it to him. He held it speculatively at various distances from his face, but he would probably have needed to stand twenty metres away and use binoculars to read it. He leant further and further forward towards the scrap of paper, which retreated from him at the same speed. Eventually he was leaning forward at an angle that broke several laws of physics, then somehow he righted himself. His glass was still fairly full. We clapped each other on the shoulder like the old friends we were, said goodnight. A look of concentration came into his face and he lurched past me in the direction of whichever point in space his eyes might be focused on, waving his torch. I went the opposite way. The women moved their bags from my feet and made minimal turning away movements. The nice man gave me a sympathetic nod. I felt some obscure shame about my notebook and the small glass and the high stool. What a fraud I was. Even hammered into the middle of next month, Matti more or less made himself understood in his second or probably his third language, knew a bit about Wales, was curious about the world. I liked him. About twelve seconds later, near the door, I bumped into him again. I’d gone round the bar one way, he the other. Somewhere in his voyage he’d abandoned his glass. I laughed and clapped his shoulder and said goodnight again. Matti, still concentrating, looked at me suspiciously and rubbed the back of a hand across his mouth. He said nothing and lurched onward. I was just one of those idiots you got in pubs sometimes. Christopher Meredith is the translator of the Welsh-language novel Melog (Mihangel Morgan). His own latest novel is The Book of Idiots, and his forthcoming poetry collection, Air Histories, will be published by Seren this spring. His poem from that collection, ‘Twobeat Deathsong’ will appear in NWR 99 (spring 2013, published on 1 March). 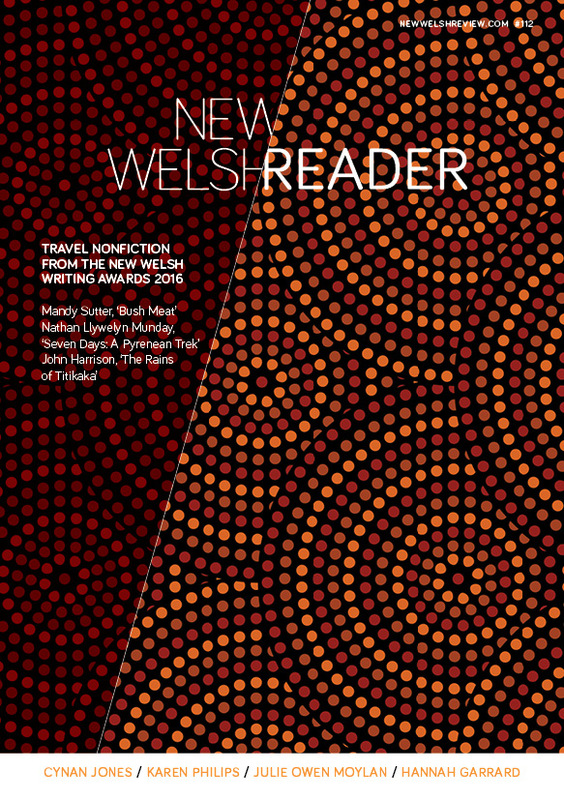 This piece was first published online at Wales Literature Exchange and is published with the kind permission of Wales Literature Exchange.